Published by Münchner Kostüm Bilder. 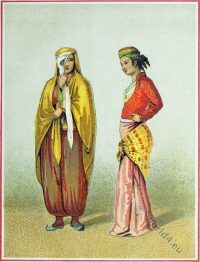 A Woman in traditional clothing from Split Croatia 1870. 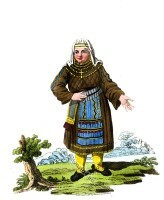 A Female Peasant of Finland. Canton of Zurich, Wehntal. Switzerland costumes. 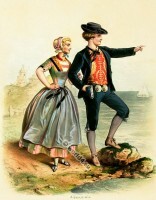 Traditional German Thuringia Brotterode costume. 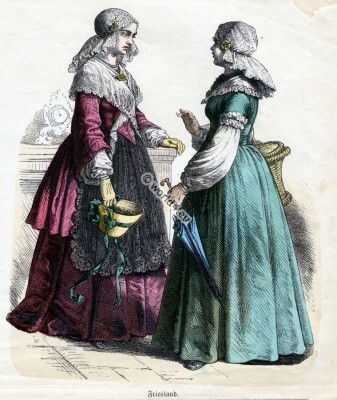 Historical Netherlands Dutch costumes, 1850s. Romanian peasant woman from Bistrița-Năsăud, Transylvania. Persian House and street clothes. Iran 18th century. This entry was posted in 1850, 19th Century, Dutch, Netherlands and tagged Netherlands national costumes, Traditional dutch costumes on 6/27/13 by world4.